Selecting the right credit card will depend largely on how you are going to use it and how often. There are a number of key considerations when picking a provider. APR – The annual percentage rate of interest gives you the overall cost of the card, however it is important to understand this is only one measure of the cost of the card. The APR is based on purchases and not balance transfers and cash withdrawals where the rates of interest may be different. Representative APR – Lenders will quote a “Representative APR” which is based on what 51% of people are offered. What you are actually offered will depend on your credit rating when you make an application. Introductory Offers – There is a lot of competition for your business and Card Providers are constantly bringing out new offers. The most common are 0% interest only offers for cards for balance transfers from existing card providers and deals on purchases e.g. 0% on new purchases for a set time period. For any introductory period providers are banking on you carrying on so it is important to pay off any balances before this time so you do not incur hefty interest charges. Benefits – As well as introductory periods, card providers may offer other incentives such as cashback on purchases made from specified retailers or outlets, airmiles based on monthly spend and other rewards such as concierge services and free travel insurance. You need to assess whether these are important to you – you may pay a higher interest rate for the privilege! Small Print – As with all credit agreements you should read through the small print so you know what you are getting into. What are my credit cards options if I have a bad credit record? 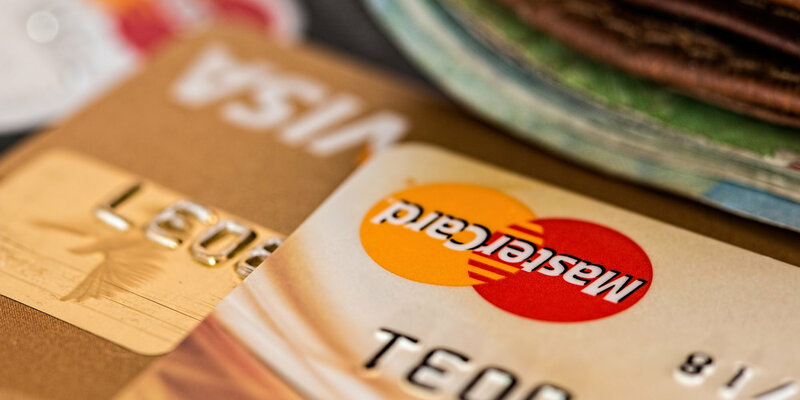 If your previous track record on credit is less than perfect getting a credit card may be a bit more challenging, but there are options for you depending on what you need. Credit gets more expensive when your credit record indicates that in the past you may have had a few blips. Basically you will be seen as a higher risk when it comes to making repayments. The good news is that while there may be options for you. Credit repair credit cards – These cards whilst expensive get you back on the road to building up your credit profile. Card providers such as Vanquis will increase your credit limit once they have seen your credit usage after a 5 month period. Pre-paid cards – you can only spend what is loaded onto the card. If you have a recent default on a credit agreement (last 12 months) you can forget about a credit card. A prepaid card allows you to get your spending habits back on track. Once you demonstrate a year’s worth of responsible usage some card providers will forward that info onto credit agencies.